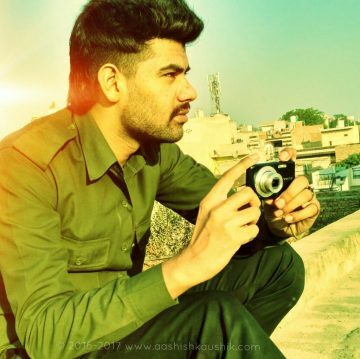 Aashish Kaushik (born 27th July 1994) age 22 is a Indian Singer & Lyricist from Delhi. Born in village : Khera Khurd (Delhi), his career began upon singing and featuring in a song ‘Whisky’. But he has been a great enthusiast of singing since childhood. He sings in hindi, haryanvi and Punjabi.